It’s been a long time coming but we’ve finally found the pieces to our Dota 2 puzzle. Our goal has always been to represent the SEA community at the highest level and with the calibre of professionals joining us, we’re SO excited to share the new squad with you! It’s been a crazy amount of work, not least for our manager Eric ‘Reinnnn’ Khor and CGO Patrik ‘cArn’ Sättermon, but we’ve finally secured the dream team! In Ohaiyo and Febby, players who’ve shown themselves to be two of the best in all of Southeast Asia, we know we’ve got a solid core. As we push on, they’re ensuring we’ve got a great foundation to build on, especially with the experience they bring to the table. Joining us in the Carry role is Meracle. The youngster from Singapore is a beast at #1 and a complete game changer on Naga Siren. He’s got huge shoes to fill at such a young age, but everyone versed in the SEA scene will know just how strong he is. In at #2 is QO. He’s had an immensely successful 2016, finishing in the top 4 at the Shanghai Majors, and securing a top 6 berth in Manila and TI6. His super aggressive style has made him one of the most exciting players to watch and with heroes like Phantom Assassin in his pool, we’re stoked to see the impact he’ll have for the team. Finally, we’re HYPED to be seeing DJ return to the Fnatic lineup! Part of the magic run at TI6 that saw our most successful Major finish, Djardel rejoins us to form a super team ready to return to the level of play that made us so feared throughout SEA. To our fans around the world, particularly in the Asia Pacific region, we’re so grateful that you’ve been able to stick with us after a long time out. We promise it’ll be well worth it! Competition is just around the corner and we can’t wait. 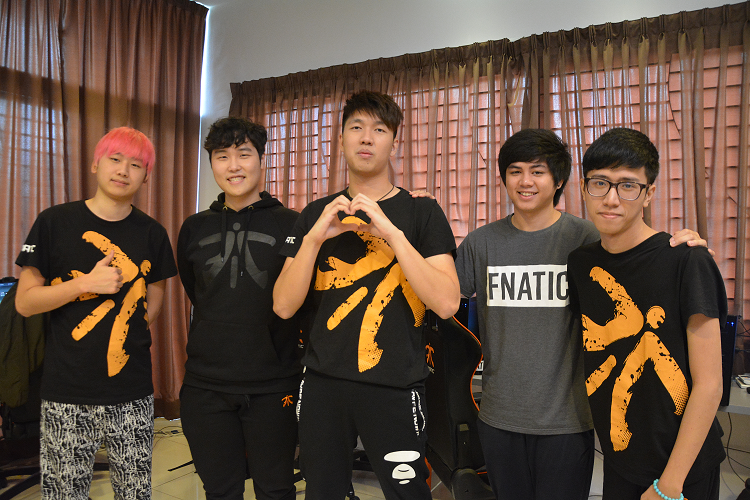 You’ll be able to see us playing for the first time on April 7th, so get your FNATIC flags ready - we want to feel all your support when we go hard to qualify for the The Summit 7!